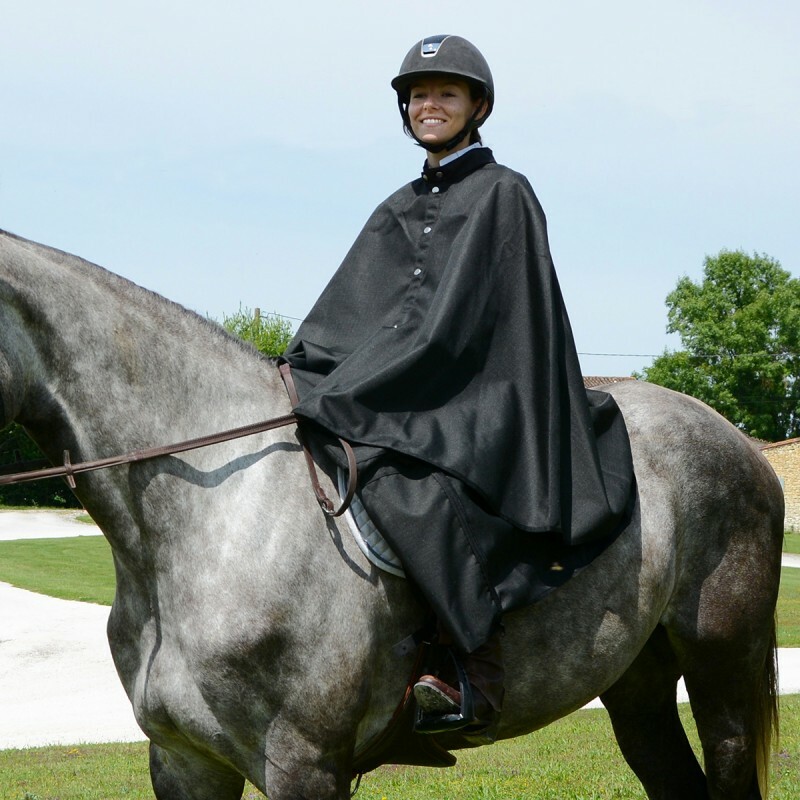 PROTECTION against the cold and rain. 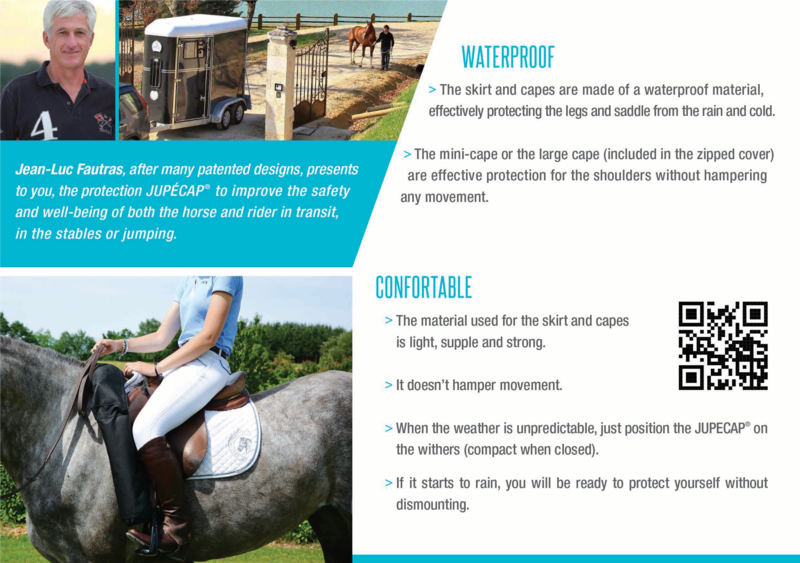 Ride with comfortable rainproof clothing. 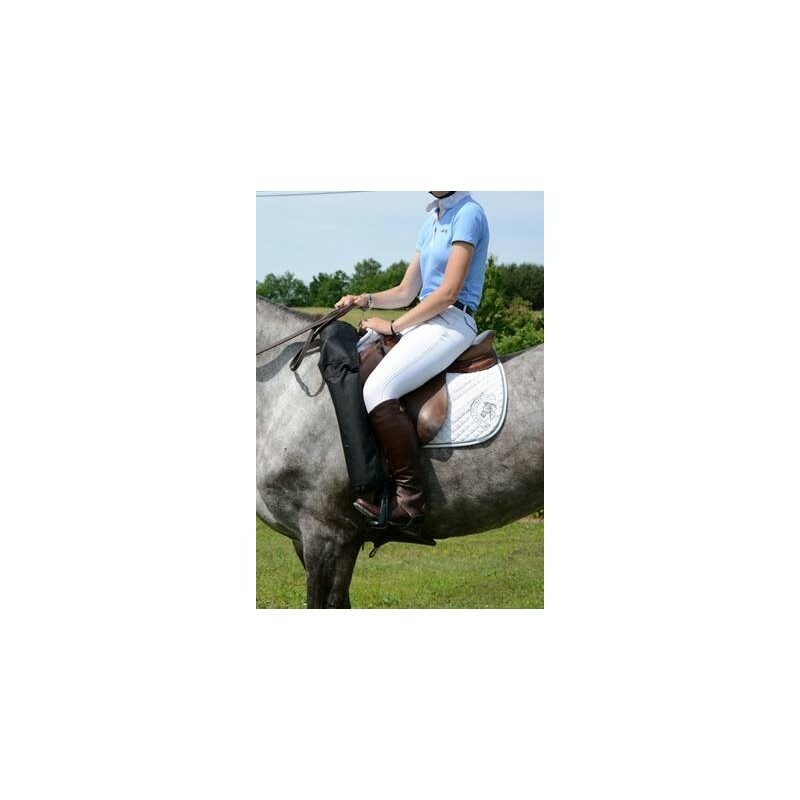 Stays in place at any gait/ Easy to fold away and pull on. 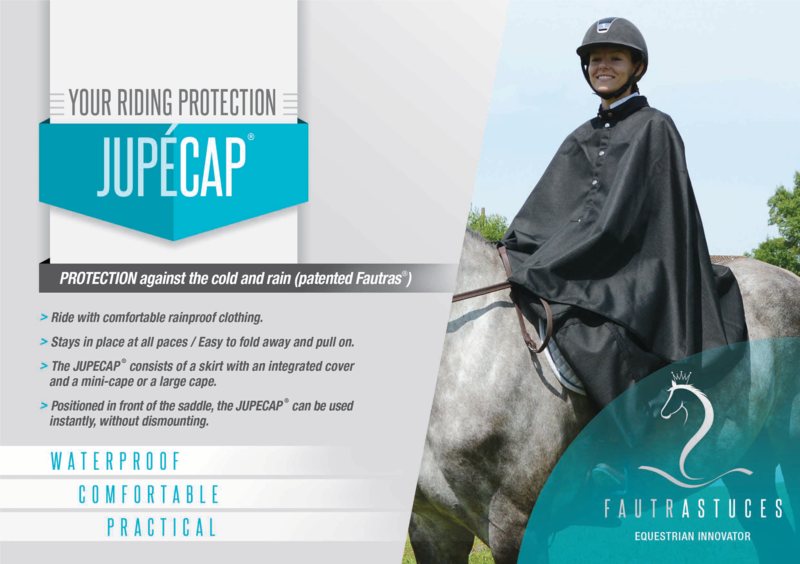 The JUPECAP® consists of a skirt with an integrated cover and a mini-cape or a large cape. 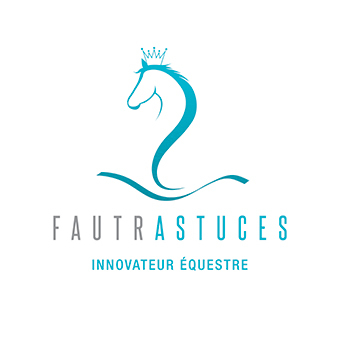 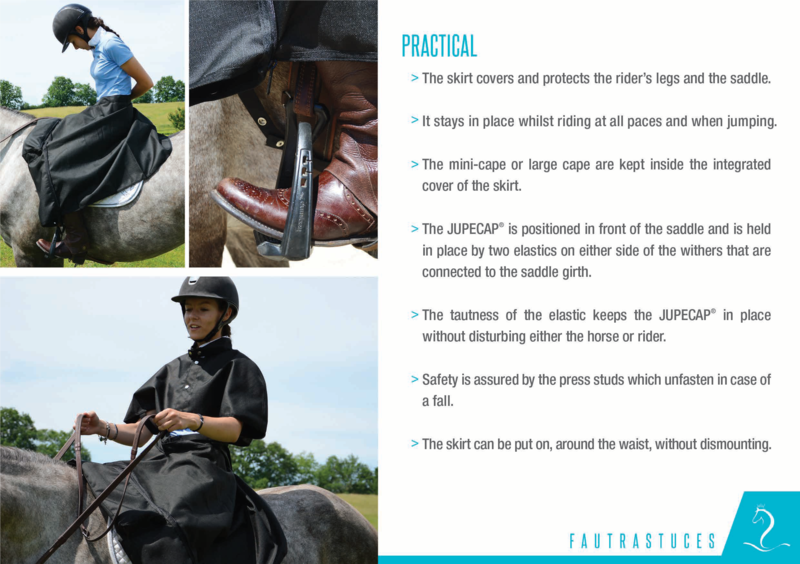 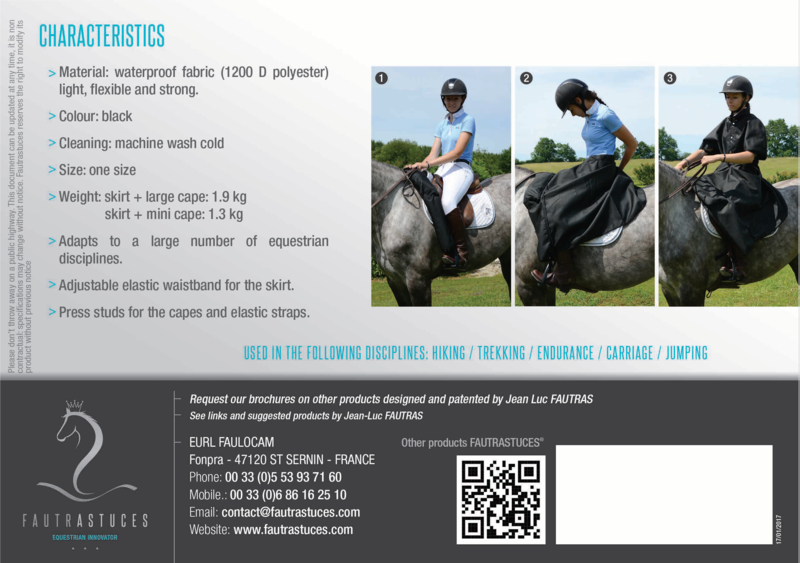 Positionned in front of the saddle, the JUPECAP® can be used instantly, without dismounting.